This is my black cell phone charger. Enjoy and keep on photographing! 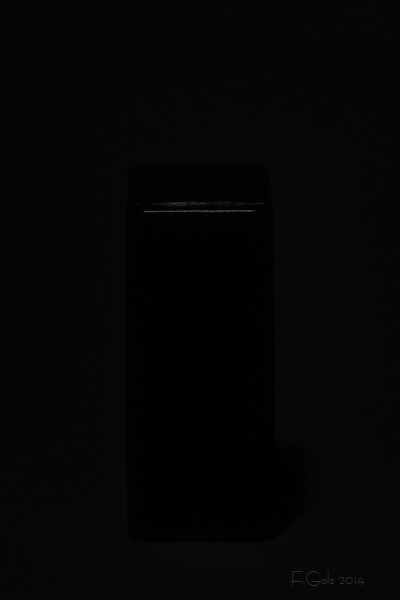 Photograph a black subject on a black background! 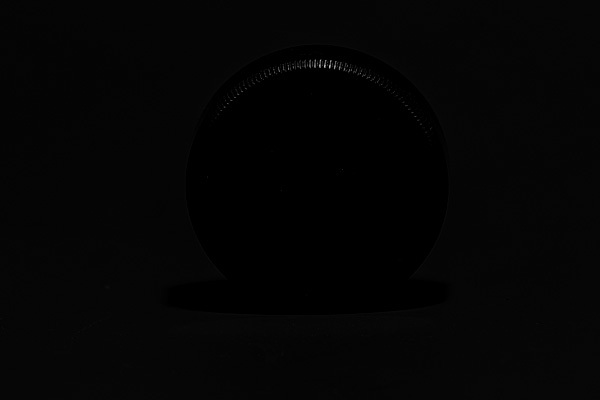 I picked a black bottle cap and photographed it. The light source came from above and revealed some of the structure of the cap. Enjoy and have fun with this exercise! 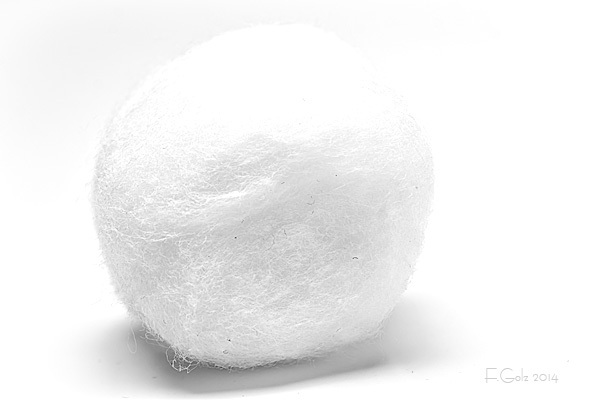 This time I used an ordinary cotton ball. 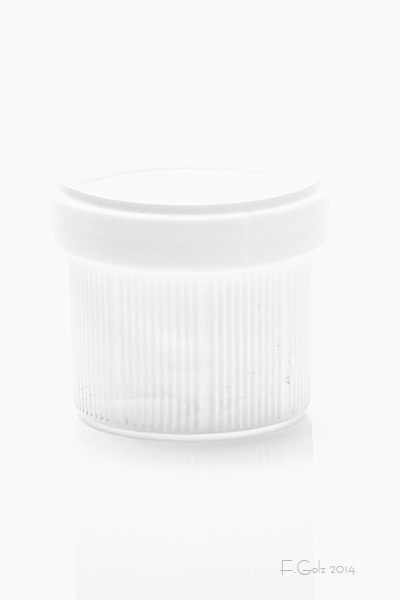 I took a white bottle cap and photographed it. In post production I converted this image to black and white. 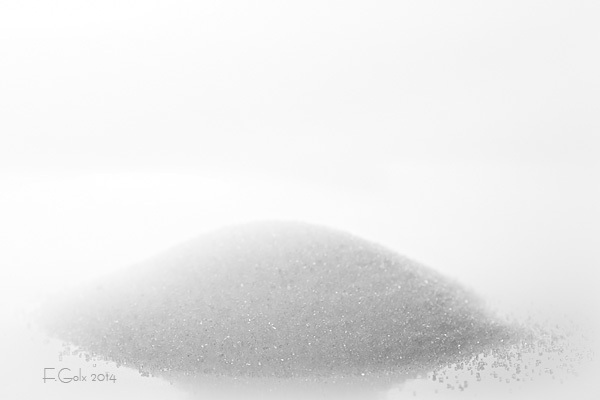 I put a table spoon of sugar on a glossy sheet of paper and photographed it. Pick yourself white subjects and photograph them on a white background. You will find that you will need to adjust your automatic exposure setting. As always, enjoy this exercise! 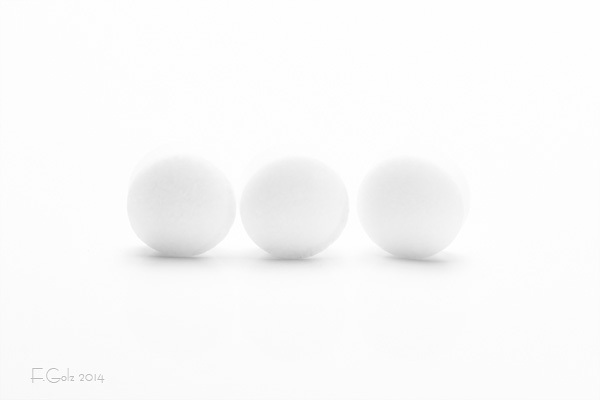 I picked three white mints and used my 180mm and shot five exposures. One normal and four under/over exposed images. I kept the f-stop at a constant f8 because I did not want to change the depths of field. In post-production I converted the image to monocrome to eliminate any color in the image. Enjoy and keep on photographing! 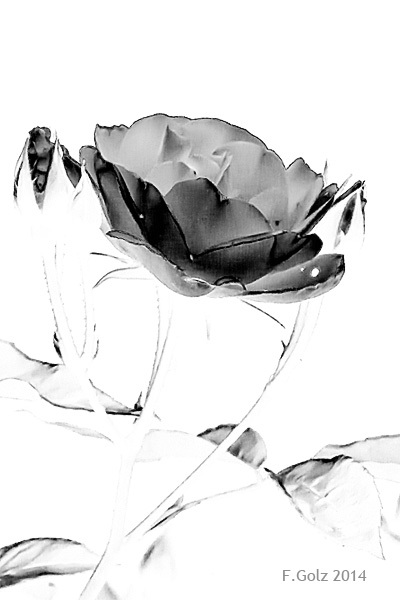 I photographed a white also called iceberg rose and used the solarization effect in Color Efex to create this image. I photographed this leave this morning. I must have fallen down during the night since the lawn was mowed yesterday evening. 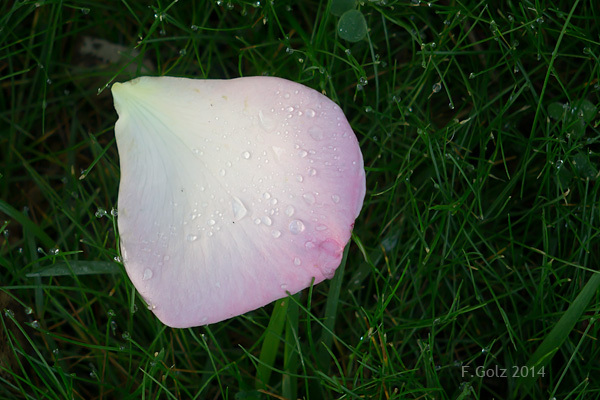 I like the color contrast and the droplets. 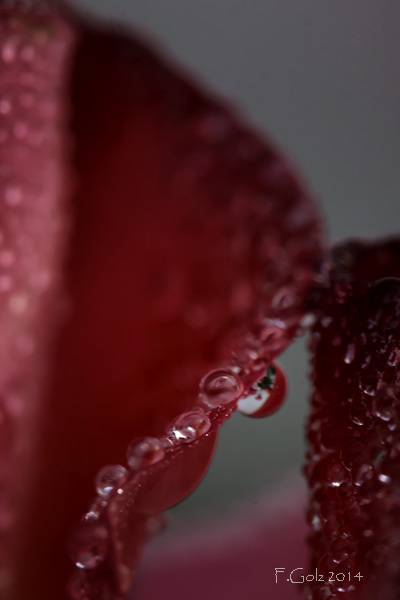 I added an extension tube to my 180mm macro lens and photographed the rose again. Interestingly the larger bubble reflected the other roses. Let us continue last weeks exercise and work on a rose. 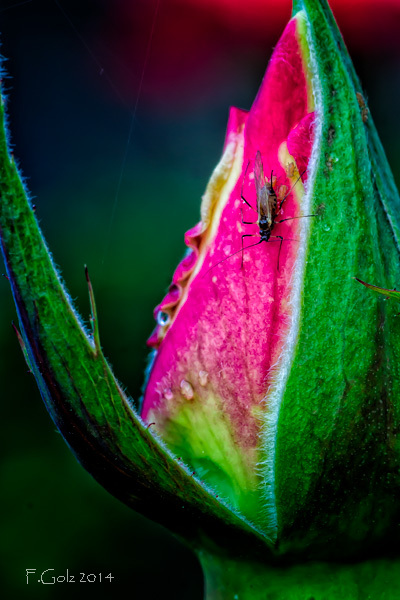 While I was photographing I discovered a fly on the rose. I had to include it.